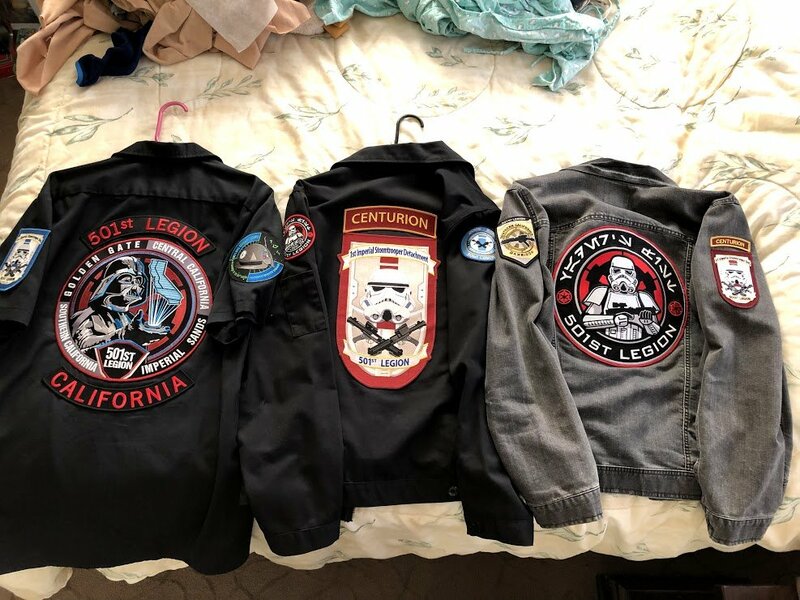 I was looking at a Jacket that I could put my 501st, Garrison, and FISD patches on. What do you guys use? I was thinking of getting the “Dickies Eisenhower”, but once I saw it in person, I was thinking I want to look around more. Feel free to share your thoughts, and maybe post a picture if you can. I really like my Dickies Eisenhower jacket. Quite popular around SoCal, since it doesn't get cold very much of the year. I was thinking that one would be nice since it is a little lighter than a regular jacket. I live in Northern California so, like your region, it doesn’t get too cold (except last night LOL). I did a hooded zip up sweatshirt. Just a basic brand with no labels. 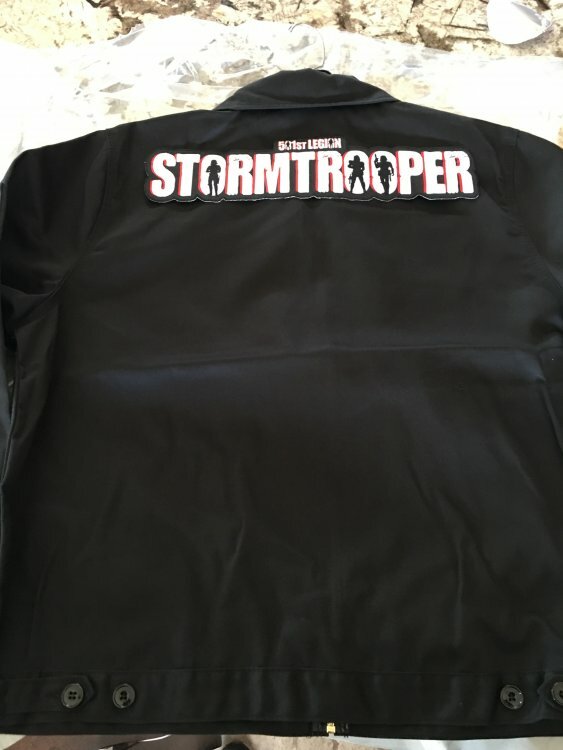 Sewed a large 501st patch on the back, my garrison on the left chest and my TK ID on the other. I’m a basic guy so I didn’t need much. I’m extremely jealous of all those patches guys. Thanks for the pics. 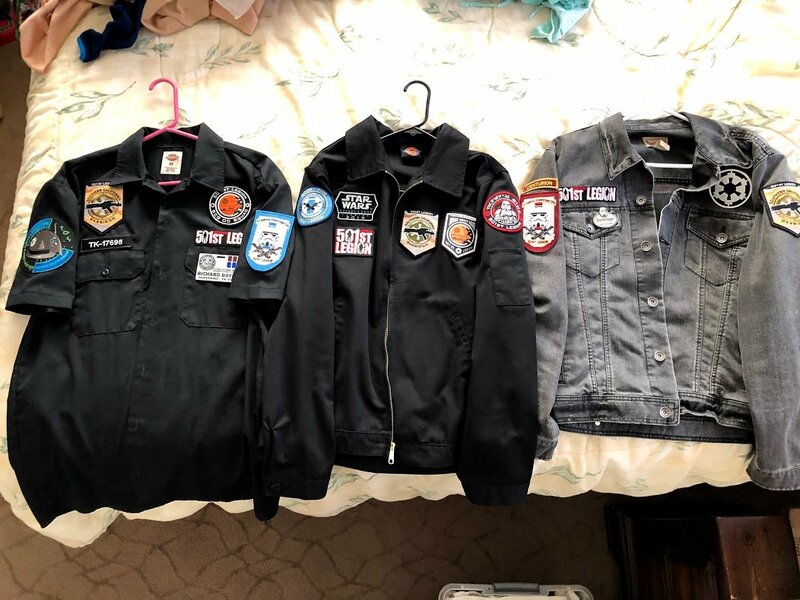 I have several jackets, including a varsity jacket, hoodies, and track jackets, but the two I use the most are the Dickies and an old jean jacket. I also use a Dickies shirt for summer. 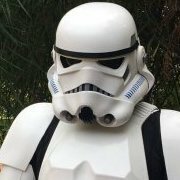 Q, where did you get the Anovos patch? Would you wear that to go grocery shopping? You better! I’m looking at my pics and then the posts after mine- sheesh I’m quite the minimalist, huh? Need some more patches on my shirt! I ended up ordering an Unlined Eisenhower from Dickies. Thanks to all for the awesome pictures, and ideas for a jacket. Im looking forward to getting my first patch on it. A friend of mine graciously sewed some patches on my jacket yesterday.